Precision Movers has been successfully relocating clients across Western Canada for over 30 years. Our team strives to provide professional and quick moving services from wide storage options to luxury furniture relocation to meet all your unique needs. Do you want to safely deliver your belonging to your new home and avoid disaster? Then it’s important to take the time to carefully select your moving boxes. REMEMBER: even if you work with a professional moving service, using the wrong boxes can cause irreparable damage to your valuables and fragile items. Although many people stop by their local grocery shop or discount store to scoop up any boxes, this may not always be a good idea. Such boxes may have come into contact with food and other sugary liquids, and you may even risk bringing a bug infestation into your new home. While it may cost you a little more, you should consider buying new corrugated moving boxes. Not only will they be unused, but they will be more capable of handling your fragile items, keeping them safe during the relocation. 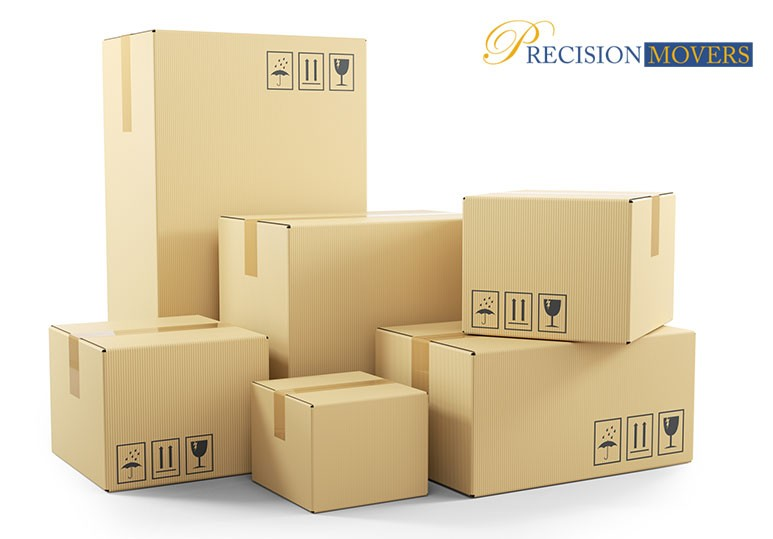 When you are packing up for a move, you should consider getting boxes of various sizes. This will help you keep organised and ensure your things remain in good condition during the relocation. Small Boxes. These should be used for books, collectables, children’s toys, and any other smaller items. Medium Boxes. These boxes are great for storing your gadgets and any other small appliances and items you have in your bedroom, bathroom, and kitchen. TIP: Fill them with packing material to keep things from colliding with each other. Large Boxes. Big boxes are necessary for your bulky and hard-to-carry items such as comforters, pillows, and lamps. Are you packing fragile items such as family heirlooms, glasses, or vases? Moving supplies such as internal corrugated dividers help keep every separated. Remember to use bubble cushioning or packing paper for extra protection. In addition to choosing the right boxes, you should make sure you have the right supplies on hand before your move. This is sure to save you time, costs, and frustration. Packing Tape. This will keep your boxes properly sealed so nothing falls out and gets damaged. Labels and Markers. Labelling and marking all of your boxes will make it easier to remember what’s in the box and where it goes in your new house. Bubble cushioning. This can be used to wrap up your fragile items such as glasses and vases so they don’t crack or get scratched. Remember to put extra handfuls of bubble cushioning into the empty spaces for extra protection. Are you planning a commercial or residential relocation? Our Calgary moving services can help make your move as seamless, stress-free, and easy as possible. To find out more, contact Precision Movers at 403-540-4393 or fill in our online contact form.